This commentary by U.S. Treasury Secretary Jack Lew addresses finance ministers and central bank governors. It originally appeared in the Financial Times on July 18. There are no republication restrictions for use by U.S. embassies. The US is again a source of strength in the world economy, only five years after it was the center of a global crisis. This has not happened by accident. While we have more work to do, this shows that, with good macroeconomic policy, a resilient economy can bounce back and create jobs. When the finance and labour ministers of the Group of 20 leading nations gather today in Moscow, getting people back to work must be top of the agenda. In many parts of the world, such as Europe, growth is too weak to drive job creation, and it is critical to take steps to bolster private hiring. Elsewhere, as in China, it is critical to speed reforms to shift towards demand-led growth. Back in 2008 the US promised to address the vulnerabilities in our economy. And we did. President Barack Obama’s administration reformed, repaired and recapitalised the financial sector, and introduced rigorous stress tests to make sure our banks have the capital needed to start providing credit again. The Federal Reserve has provided the US economy with vital support tied to its dual mandate of full employment and price stability. When the economy was in free fall, Mr. Obama acted decisively to provide fiscal support for jobs and private demand through, for example, tax credits and extending the duration of unemployment benefits. While long-term fiscal policy requires tough decisions, we knew we could not cut our way to prosperity. When it became clear that the private sector needed further time to gain strength in the face of headwinds from Europe, we acted again through a temporary cut in the payroll tax. Our businesses have created more than 7m new jobs since the depths of the crisis, and private demand is strong enough to sustain momentum. Challenges remain but there is broad strength throughout the economy, including in housing, cars and the fast-growing energy sector. Health reform is expanding access and making care more affordable – and helping to reduce our deficits. To remain on the path of continued growth, we need to avoid self-inflicted wounds while we are still trying to make up lost ground. America’s commitment to pay its bills should not be brought into question with a debate about whether or not to extend the debt limit. And job growth would be faster if the across-the-board cuts known as sequestration were replaced by a more balanced path of fiscal consolidation. We need to continue to invest in reforms to strengthen the middle class. The US needs investments in centres of excellence for advanced manufacturing, in job training, in education and in clean energy. Comprehensive immigration reform is necessary – not just because it is the right thing to do but because it is a smart way to grow our economy. And more work remains to be done to bring down the number of long-term unemployed. Similarly, for global growth to be sustainable, other G20 nations must pursue macroeconomic policies that are centred on increasing domestic demand and employment. The eurozone’s first priority is to maintain financial stability, which it is doing through the establishment of new instruments, the implementation of difficult reforms and a commitment to move to a banking union. As a result, Europe is now in a position where it can put greater priority on boosting demand and addressing unemployment levels that have reached historic highs. Demand in the eurozone has shrunk for eight consecutive quarters and is now 5 per cent below its 2007 levels, while in southern Europe it is 15 per cent lower. We have an enormous stake in Europe’s success. Recalibrating the pace of fiscal consolidation, so that a fall in activity does not require more cuts, is a step in the right direction. Equally important will be meaningful measures to restart the flow of credit to small companies. Europe needs to look closely at using its macroeconomic tools to drive growth up and unemployment down. Asia’s economic challenges differ. Japan can strengthen its growth by reducing barriers to the creation of new businesses and increasing the labour force participation of women and youth. China has enjoyed solid job growth and rising wages over the past few years. But it now faces the challenge of generating jobs that match the aspirations of its increasingly educated workforce. The world’s second-largest economy must make the transition from a low-wage economy producing goods for export to a more developed one where consumption by a growing middle class drives growth. It is important that these growth strategies work through the use of domestic measures and not by targeting exchange rates. We have learnt difficult lessons from our own crisis. And now there are lessons to be learnt from our recovery. The G20 meeting this weekend provides an important opportunity to put jobs at the centre of macroeconomic policy. 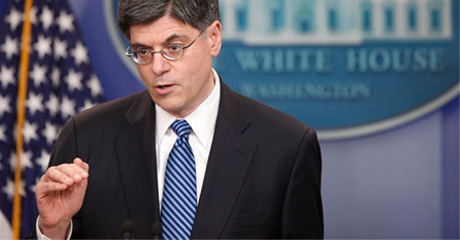 Jack Lew is the U.S Treasury Secretary.